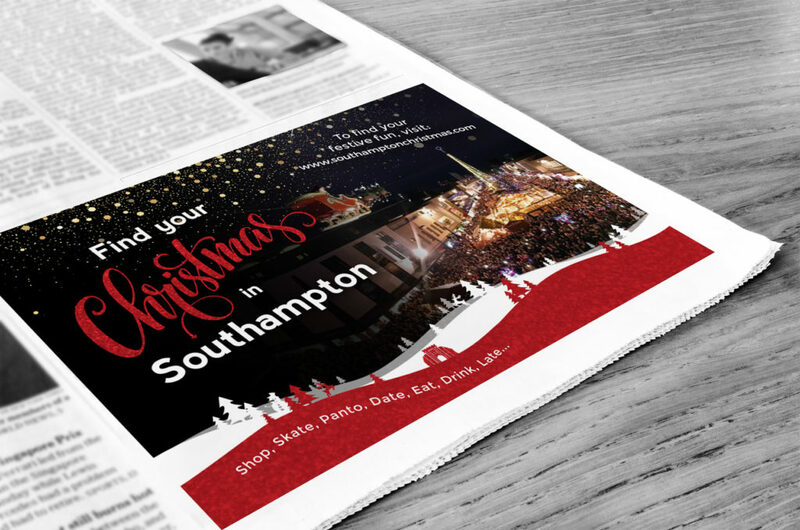 #InTheStudioThisWeek as December fast approaches, we’ve been getting in the spirit with the launch of the Southampton Christmas campaign! 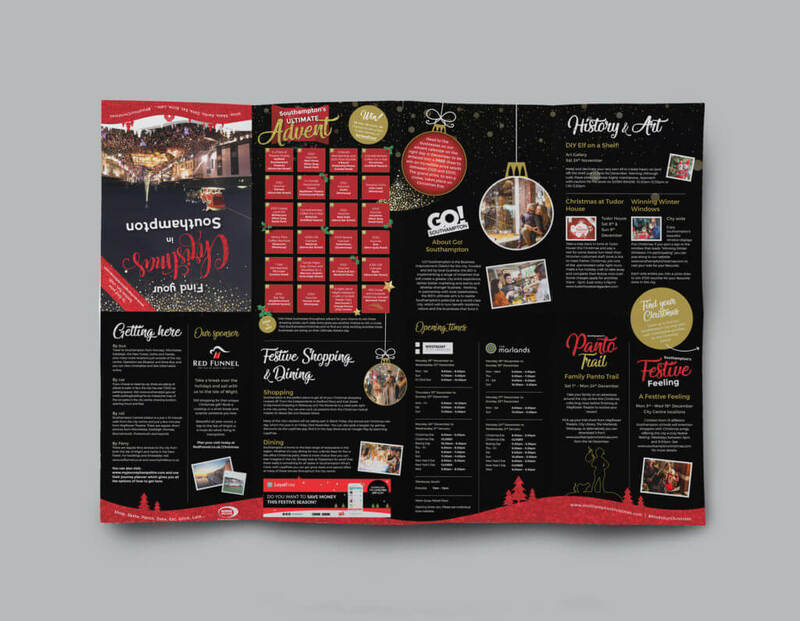 Having designed the theme last year, Glow developed the creatives to include new imagery and even more sparkle, as well as additional deliverables to promote new festive activities going on around the city this Christmas. 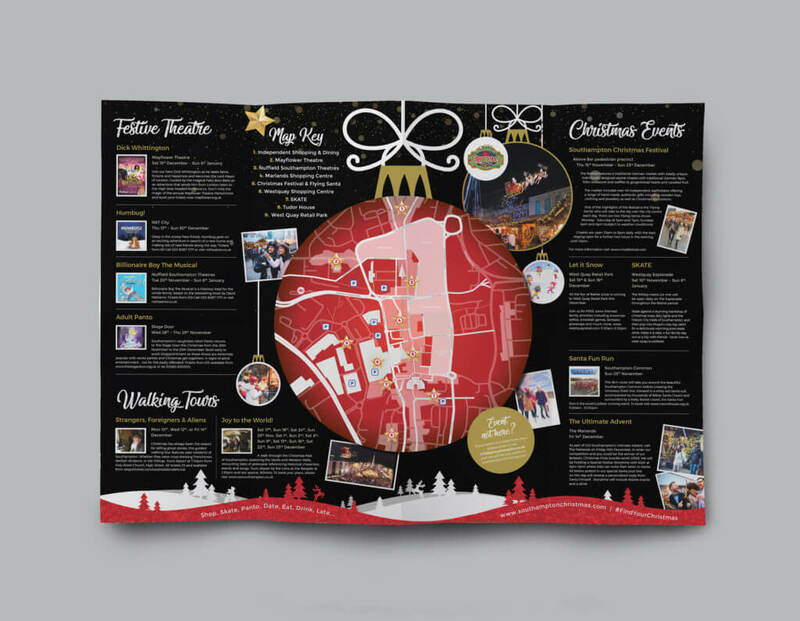 Glow helped to produce graphics for city buses, an illustrated festive fold-out map, leaflets, posters, press and digital adverts, social media graphics and even inflateable columns! 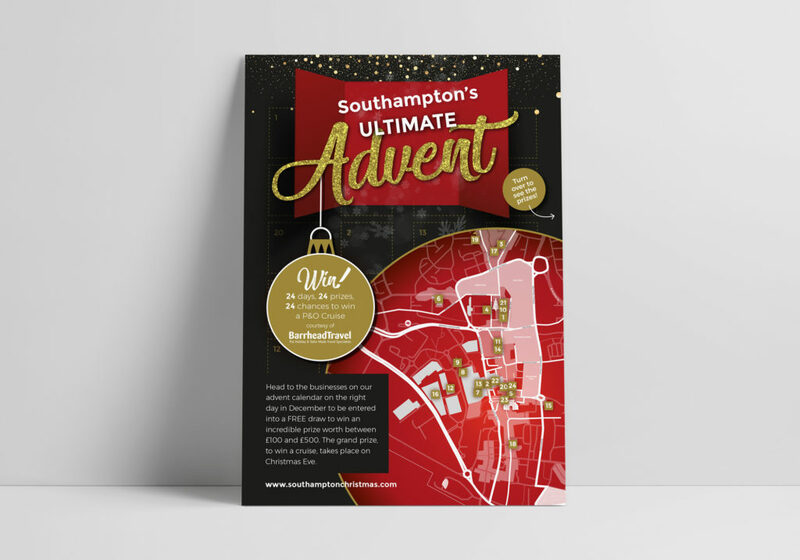 Take your family on an adventure around the city centre this Christmas, collecting clues before finishing at the Mayflower Theatre to receive your reward. 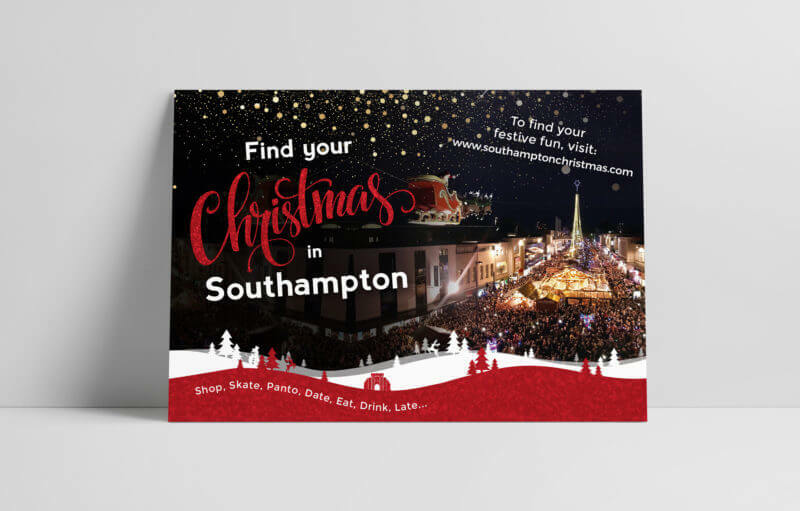 Pick up your trail sheet from the Mayflower Theatre, City Library, The Marlands and West Quay or, alternatively, you can download it here . 24 days, 24 prizes, 24 chances to win a Cruise! Follow us on social media to discover where you can enter our daily draws to win incredible prizes worth between £100 and £500! The winner of each draw will be announced on social media the following day and all participants will be entered into the grand prize draw with the chance to win a cruise from Barrhead Travel. There are 5 areas in the city centre designated for community groups or local talent to provide a ‘Festive Feeling’ through musical entertainment this Christmas. Children from 13 different Southampton schools have already signed up to entertain shoppers with Christmas songs, offering the city a truly festive feeling. We’re just about ready for our own mulled wine and mince pie now!